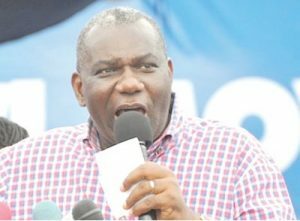 President Nana Addo Dankwa Akufo-Addo has named Boakye Agyarko as the Minister Designate for Energy. Mr. Agyarko was a Policy Advisor for the 2016 campaign team of the New Patriotic Party(NPP). He is a successful banker, having worked as banker in New York for several years. He has also worked as an investment banker for years, with enormous experience in negotiations and managerial skills. The major challenge Mr. Agyarko will face if approved by parliament will be his ability to prevent a power crisis. Describing him, as man who is very good with figures, President Akufo-Addo disclosed at the Flagstaff House that Mr. Agyarko has enormous experience in energy sector contracts. According to President Akufo-Addo, Mr. Agyarko could be described as a person with deep understanding of financial transactions that will help the country’s numerous power deal and agreements. Nana Akufo Addo also announced that the Ministry of Petroleum, and the Ministry of Power has been merged into one – Ministry of Energy. Mr. Agyarko attended Mfantsipim School.